In August and September, we are revisiting some of the “best of” Bloom from the past year. Following is an encore post, originally published on February 8, 2013. Daniel Orozco was featured at The Millions as part of the “Post-40 Bloomers” series in January 2012. We caught up with Daniel a year later to talk candidly about his current m.o., second-book challenges, teaching, and inspirational heroes. Sonya Chung: When you look back on the 16 years during which you wrote the nine stories published in your debut collection Orientation, how do you feel about that time-to-output ratio? Do you feel, Oh God, I need to be faster; or, Yeah, that’s about right. I guess what I’m asking is: do you feel any conflict between your internal pacing and what the external world seems to expect? Daniel Orozco: That conflict is ever-present, and frustratingly unresolved, but much less imposing now, simply because I’ve accepted that I can’t do anything about it. I still wish I wrote faster. But I also wish I were taller. I wish it was summer right now. I wish Hilary Swank would call me for lunch. But those things aren’t going to happen, either. SC: Related to that, as you look ahead, is there ever a quantitative element to your creative and literary-career goals? DO: When I finish the novel I’m working on I’d like to write short stories again. I miss them. Further ahead, I’d be interested in trying the novella form. With regard to literary-career goals— I’ve never been very goal-oriented, quantitative or otherwise. All I can do is hunker down and write as best I can. If what I’ve written gets me a job or a residency or whatever, then . . . I’ve done my work, literary-career-goal-wise. SC: How has your process changed in tackling a longer work? Or is it just the same pace, but applied to a higher word count? DO: My novel-writing nightmare is this: after years of work, I’d have hundreds and hundreds of pages that don’t go anywhere, and I’d be lost in this vast narrative terrain with no path through it, no way out. I wasn’t going to let that happen, so I mapped out a plot and some character arcs and a timeline, structuring the novel in a way that I’m still satisfied with. That took a year-and-a-half. Then I started pounding out pages, which is real different from story writing. I tend to linger in a scene or episode when I write a story, working and reworking the prose until it sounds right, then moving on. But you’re supposed to get the pages behind you when you write a novel, pound them out. Power through that first draft! So I did that for a year, but I hated the pages I was pounding out, so I stopped for a while, frustrated and spooked at how bad the writing was. Then I pounded out some more pages—power through that first draft!—and the pages were still bad. I stopped again. I spent a few months writing a short story—doing something I knew how to do. I avoided the novel for a few months after that, then went back to it, resolved to write it the way I write. So I’ve slowed down, but I’m still sticking to the map. I still know where I’m going. It’ll just take longer to get there. DO: The conventional wisdom in publishing is that short story collections don’t sell, and that you have to write a novel. Well, I didn’t “have to” do anything, but I felt as if I did. All the better, though. Like piano lessons as a child, one is ultimately grateful the grown-ups compelled you to do it. With regard to your list of brilliant short story writers: I can only aspire to what they do, but I can certainly imagine doing it, writing a few stories a year. Although: I’m intrigued by tackling the in-between of the novella form. That impedes my imagined short-story path. SC: I read somewhere that your stories often start with structure—an experiment with a certain form or idea, such as the police blotter form of “Officers Weep” or the second-person dystopia of “Orientation”—which I found interesting, and unusual. How and when does the “heart” of the story enter into the process, i.e. the characters, the emotion, etc? DO: I think the “heart” of the story comes from this wellspring of experience we all have in our heads. Early in my writing career, when I accessed that wellspring directly, the stories I wrote were pretty terrible—maudlin and predictable. I was too embarrassed to go back to them, so I had lots of half-finished bad stories. Rather than begin a story with questions such as “Can I turn what happened to me into a story?” or “Can I get this emotion across in a story?”, I started asking questions that removed me from the emotive center of the dramatic experience. So: “Can I tell a story in real time?” or “Can I tell a story that abandons each central character every five or so pages?” In other words, can I impose some kind of writerly constraint on a story, and make the story work not in spite of the constraint but because of it? A story works if its “heart” is apparent in the telling. I tend to tap the “heartstuff” obliquely, indirectly, as a formal exercise, in order to get it into the story. It’s like writing a sestina—wouldn’t it be easier to get at what you have to say by not following all those silly rules? No, because you don’t have anything to say until the sestina form releases it for you. SC: As a later-life bloomer, do you find that, when you mentor and advise writing students, you encourage them to take their time; or hurry up; or neither? DO: I often have students in creative writing come to me, just as they’re graduating with their BA’s, asking for a letter of reference for MFA programs they plan to apply to the following year. I try to talk them out of it, tell them to wait—“I’ll write the letter next year!”—and encourage them to move into the world, muck around in it, get out of the classroom for a bit. I’m not talking about trekking in Nepal or joining the circus; I’m not talking about adventure, but simply experience. You don’t study writing, you practice it, and getting out of a classroom and putting experience behind you is somehow part of the practice. SC: Your own path, to my mind, was quite unconventional: before publishing a book you were able to garner major awards, fellowships, publications, and a teaching position. Is this a path that you think is achievable for young writers these days, or does it strike you as unusual/unlikely? DO: Every accomplishment, every recognition was a surprise, and still is. My career path seems unlikely to me, too. But it happened. I tend to frame it as the exception that proves the rule: Keep your head down and do the work, and you will find your reader. 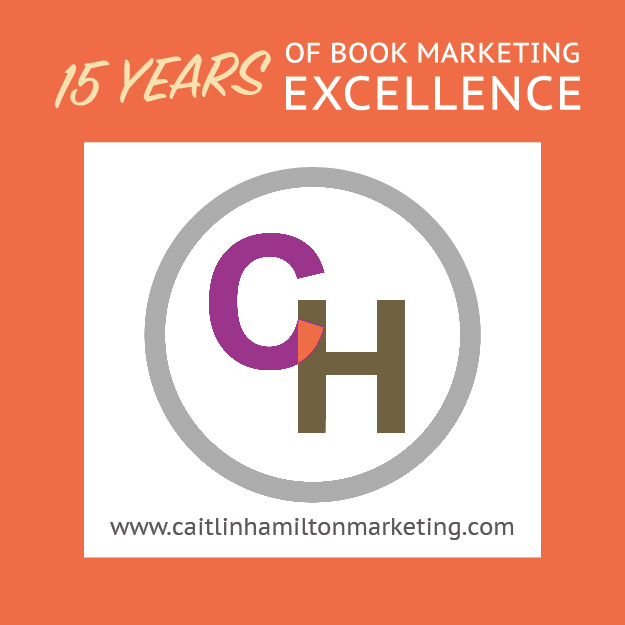 SC: What were the best things and worst things about publishing your first book at age 52? DO: The best thing? At age 52? Well, I am generally not an optimist, and so there was a point in my middle-aged life when I thought publishing a book would never happen. And then: it did. So: the impossible happening is pretty cool. The worst thing about publishing a first book—at any age—is getting the second book done when you still want to loll about and roll around in the experience of that first book publication. SC: The workplace was such a significant theme in Orientation; now that you’ve been out of the office-cubicle setting for many years now, do you feel that you’re “done” with that exploration in your fiction? What setting(s) are occupying your imagination now? DO: The workplace will always be revelatory dramatic terrain for my characters, but I think I’m done with confining their dramas to the workplace, yes. From now on, I’m going to let them go home and take a shower, or drive to the beach for the weekend. SC: Who are some of your artistic idols and inspirations—in particular, artists you admire for both their work and their lives? SC: What is a question you wish an interviewer would ask you but never has (and, of course, what is the answer)? DO: Um, how about, “How tall are you, anyway?” The answer: 5’ 7½″. Tags: Daniel Orozco, Max Aguilera-Hellweg, Novel-Writing, Officers Weep, Orientation, Post-40 Bloomers, Sestina, Short Stories. Bookmark the permalink.